Ditch the dairy and skip the soy. Almond milk is the superior choice for your latte, smoothie or cereal bowl. First of all, you can’t beat the calorie count. 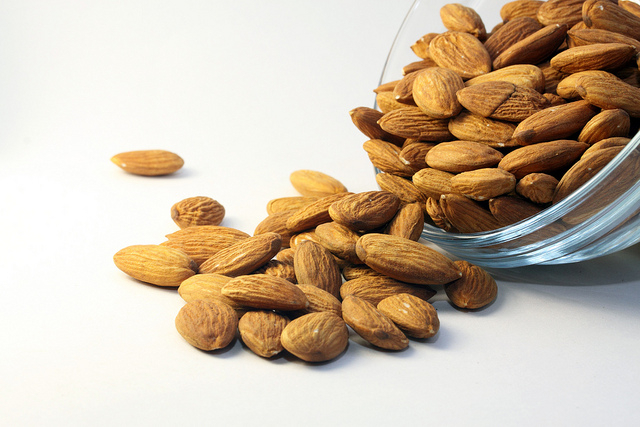 At just 30 to 40 per serving, almond milk has half the calories of nonfat cow’s milk and one-fourth those of whole milk, with no saturated fat. It has a wide spectrum of vitamins and minerals like calcium, vitamin E, vitamin D, B-vitamins and zinc. Almond milk stays fresh for months, and can sit for a whole season in your fridge without turning sour. Just try that with dairy. Almond milk is also safe if you’re lactose intolerant or have dairy allergies. This smooth, creamy beverage is made through a simple process of mixing ground almonds with water, and then straining away the solids. Almond milk has been around since the middle ages, and now it’s starting to make a comeback — for good reason. Soy milk may reign as the non-dairy champ of the moment, but the problem with soy is that it can inhibit mineral and protein absorption. That’s why it shouldn’t be one of your main food sources. There’s also some evidence that soy might contribute to breast cancer, although the jury is still out on that one. Naysayers point out almond milk has less protein than cow’s milk. This is true, but most Americans actually get too much protein, often double the RDA of roughly 50 grams per day. Excess protein, particularly from animal sources, is linked to diseases like osteoporosis, cancer and kidney failure. Still not convinced? Consider the environment; dairy farming is a major contributor to climate change. According to a 2006 report from the United Nations Food and Agriculture Organization, 18 percent of greenhouse gasses come from the livestock sector. What’s more, half of all grains grown in the United States feed cattle, not people, which translates to water waste and a gross excess of pesticides. Animal products are simply the least efficient foods we can eat. And with delicious, healthy choices like almond milk, we don’t have to. « Cracking the Shell: Does Coconut Water Live Up to the Hype?